MIDTOWN— Chicago chef Joel Dennis—a former chef de cuisine at Tru, a one time chef at Alain Ducasse, and most recently the executive chef at Blue Water Grill Chicago—is now working in the kitchen at Adour. We're waiting on the confirm from the people at St. Regis that he is officially replacing rumored-to-be-departingTony Esnault, but it is definitely looking that way. The biggest sign is that he can easily be reached in the kitchen right this very moment. But inside sources also tell us that Esnault has been gone for days and that Ducasse is simply waiting to make the official announcement. 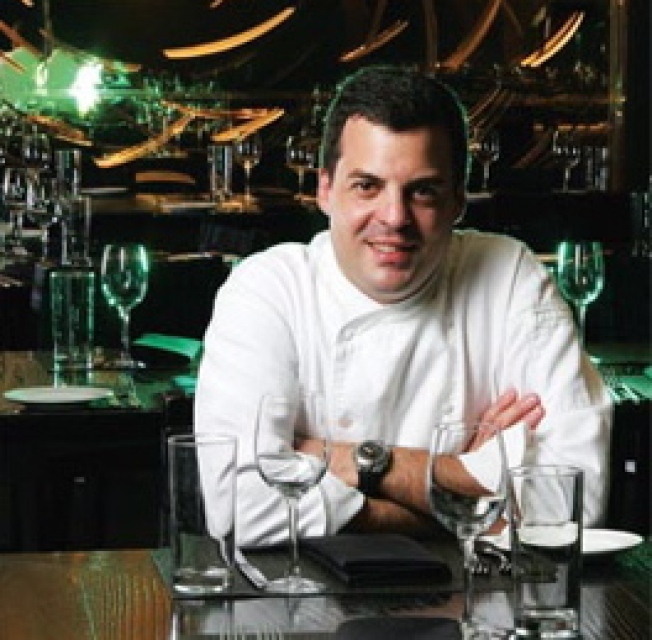 Dennis, like Esnault, spent over four years working with Ducasse before the Chicago move, so it could be that the master is just replacing one protege with another. Perhaps the BRGuest training (along with the recession) means he'll be removing some of the shmance from the menu.